LOCATION.--Lat 40°54'49", long 72°41'12" referenced to North American Datum of 1983, Suffolk County, NY, Hydrologic Unit 02030202, on right bank 200 ft downstream from Long Island Power Authority dam, 0.4 mi west of Riverhead, and 1.2 mi upstream from outlet of Sweezy Pond. PERIOD OF RECORD.--June 1942 to current year. GAGE.--Water-stage recorder and concrete control. 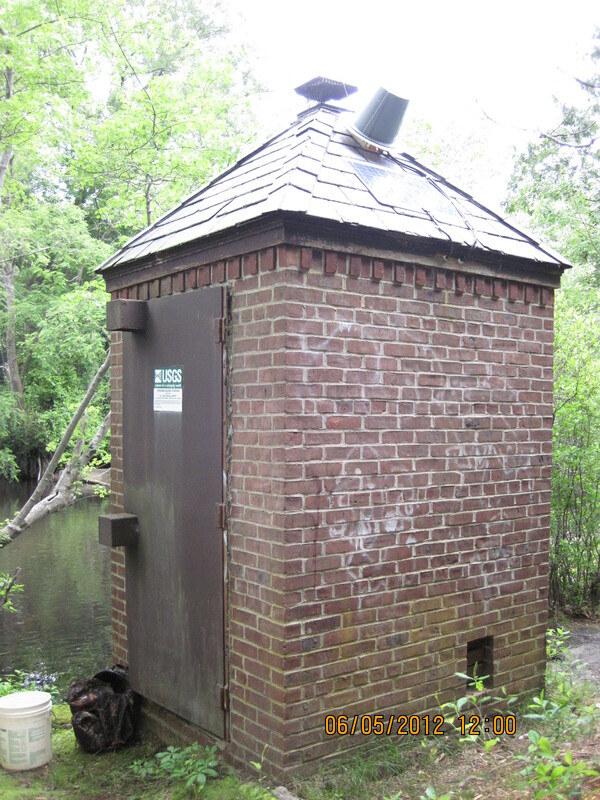 Datum of gage is 6.54 ft above NGVD of 1929 and 5.58 ft above NAVD of 1988 (VERTCON). REMARKS.--Flow regulated by ponds above station. EXTREMES FOR PERIOD OF RECORD.--Maximum discharge, 225 ft³/s, Jan. 30, 1978, gage height, 1.20 ft, result of regulation; maximum gage height, 2.33 ft, Dec. 11, 1992, result of storm tide; minimum discharge, 1.4 ft³/s, Jan. 9, 1966, Jan. 31, 1967, Dec. 6, 1969, Jan. 27, 1972, Dec. 10, 11, 1977, all result of freezeup; minimum gage height, 0.07 ft, Feb. 10, 2017, result of freezeup.